FITZ, Stephen A.; 47, of Richmond, VA, went to be with the Lord, Saturday, April 13, 2019. He was preceded in death by his father, Neelum P. Fitz. Stephen is survived by his mother and stepfather, Brenda and Thomas Weaver, Jr.; his sister, Lori and husband, Steven Haden; a brother, Gary D. Fitz; two step-brothers, Thomas and Curtis Weaver; and two nephews, Austen Haden and Hunter Carlton. 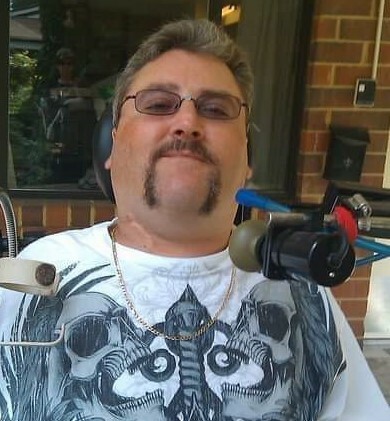 Stephen loved NASCAR and motorcycle racing; music and concerts. He was an avid animal lover, and especially loved the “big cats”. His greatest love was for his time spent with his devoted family and friends. The family will receive friends from 2 - 5 pm, Saturday, April 20, 2019, at Monaghan Funeral Home, 7300 Creighton Pkwy. Mechanicsville, VA 23111 to Celebrate his Life. In lieu of flowers, please consider donating to the charity of your choice in his memory. There's still time to send flowers to the Celebration of Life at the Monaghan Funeral Home Chapel at 2:00 PM on April 20, 2019.